Understanding spatial statistics requires tools from applied and mathematical statistics, linear model theory, regression, time series, and stochastic processes. It also requires a mindset that focuses on the unique characteristics of spatial data and the development of specialized analytical tools designed explicitly for spatial data analysis. 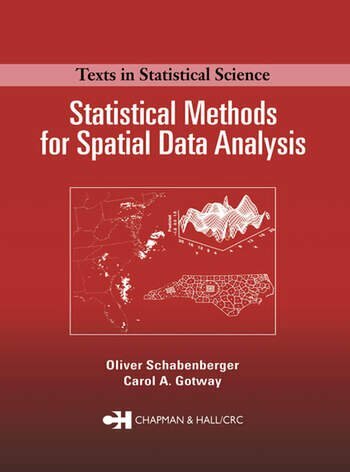 Statistical Methods for Spatial Data Analysis answers the demand for a text that incorporates all of these factors by presenting a balanced exposition that explores both the theoretical foundations of the field of spatial statistics as well as practical methods for the analysis of spatial data. This book is a comprehensive and illustrative treatment of basic statistical theory and methods for spatial data analysis, employing a model-based and frequentist approach that emphasizes the spatial domain. It introduces essential tools and approaches including: measures of autocorrelation and their role in data analysis; the background and theoretical framework supporting random fields; the analysis of mapped spatial point patterns; estimation and modeling of the covariance function and semivariogram; a comprehensive treatment of spatial analysis in the spectral domain; and spatial prediction and kriging. The volume also delivers a thorough analysis of spatial regression, providing a detailed development of linear models with uncorrelated errors, linear models with spatially-correlated errors and generalized linear mixed models for spatial data. 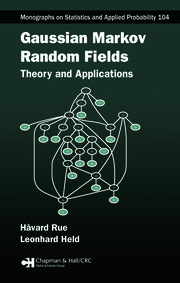 It succinctly discusses Bayesian hierarchical models and concludes with reviews on simulating random fields, non-stationary covariance, and spatio-temporal processes. Additional material on the CRC Press website supplements the content of this book. The site provides data sets used as examples in the text, software code that can be used to implement many of the principal methods described and illustrated, and updates to the text itself. "…well-presented research-level text with interesting examples and an extensive reference list, much of which relates to work which has appeared during the last five years or so." "This book tackles spatial data analysis from a statistician's point of view. It provides a very natural bridge to spatial data analysis for the classically trained statistician who is familiar with linear models and the like. In terms of detail, it is at a very good level for its stated audience of a graduate class in spatial statistics; there is much useful information….The authors have made a tightly written and well-planned contribution that updates much relevant material and provides welcome and thoughtful advice. …I have no hesitation in recommending it for a graduate class in spatial statistics, and it is a welcome addition to my library." 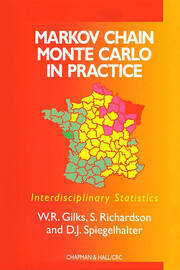 "This book provides an introduction to statistical methods for the analysis of spatial data. In a coherent manner, it presents statistical tools and approaches for analysis of three types of spatial data: geostatistical data, lattice data, and point patterns. …The book is intended as a text for a graduate-level course in spatial statistics. I believe that it would be a suitable text for a variety of reasons. First of all, the book provides comprehensive coverage of statistical methods for geostatistical data, lattice data, and point patterns. Not many books on spatial statistics have this feature. …The book has a nice balance of statistical theory, methodology, and applications, with an emphasis on statistical methods. It contains many concrete examples that illustrate both theory and methods. In illustrating the methods, real and interesting data examples are drawn from many disciplines such as agriculture, ecology, geology, epidemiology, and meteorology. …This is a wonderful book that systematically introduces readers to spatial statistics. With a writing style that is illustrative, clear, thoughtful, and cogent, teachers and students alike should find it a delightful text for this diverse and exciting field." "I enjoyed this book and I am sure that it is a valuable addition to the literature which should be widely read."